WordPress.com vs. WordPress.org - Which is Better? The WordPress.com version is free, but your site will be hosted on the WordPress.com servers, and you won't have access to the powerful plugin feature that allows you to add on useful functionality like contact forms, create social media buttons/widgets, etc. You also won't be able to monetize your site because it's against the WordPress.com terms. So that means you cannot use AdSense, affiliate programs or any kind of monetization at all. Also, because your site is hosted on wordpress.com, they own your site. If WordPress decides to delete your account for any reason, you have no control over that. 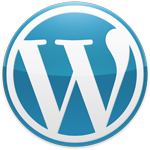 WordPress.org is the way to go and the easiest way to get started is to choose a web host that allows a one-click install of the WordPress script. For example, Website Palace, (my store) has WordPress hosting. That means when you sign up, WordPress is already installed on your domain name (yoursite.com) so you can get started faster. You can also host multiple websites under one hosting plan as long as you choose the Deluxe or Ultimate plan. So if you are creating more than one WordPress website or you want additional WordPress installations on the same domain, you can do all of that without having to buy more than one plan. That means you could install WordPress on yourdomain.com/folder1 and yourdomain.com/folder2 or even blog.yourdomain.com and blog2.yourdomain.com. If you are going to buy more than one domain name, you can also install WordPress on two different domain names with only one hosting plan. In other words, yoursite.com and yoursecondsite.com can both be hosted under the same account and run two different WordPress installations. Click to see a full tutorial on how to create a site with WordPress.